The weight of a carbon fiber seat with the price of a fiberglass seat. 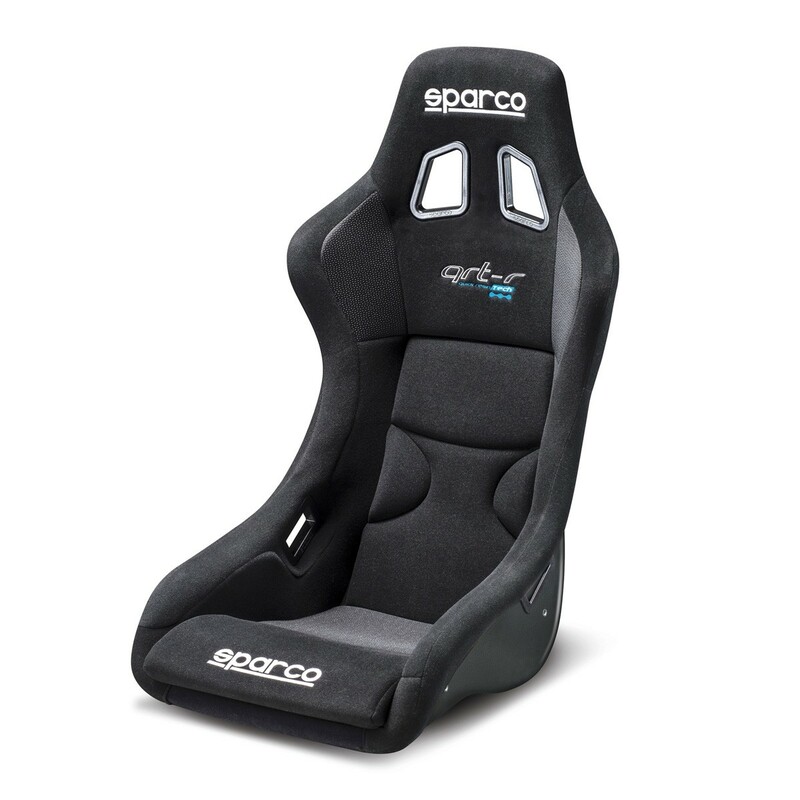 The latest racing seat from Sparco showcases their newest, patented, QRT Ultra-Light Technology. The Sparco QRT-V offers an industry unmatched strength-to-weight ratio for fiberglass composite seats. With an average weight savings of 7lbs per shell, the QRT-V approaches the weight of a carbon fiber seat while keeping the price of a fiberglass seat. Better yet, Sparco gifted the QRT-R with a unique CAD design that offers an excellent fit for most drivers, while keeping exterior dimensions that can easily fit into smaller cockpits. With a shell weight of just under 10 lbs, the QRT-V is FIA approved and features attractive new slender shoulder belt guides, and a seat specific mounting bracket that helps provide an optimal mounting position. Note: All measurements are in millimeters. Measurements are based on the seat shell, and do not take into account padding thickness.